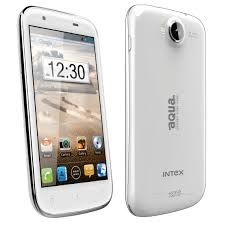 Intex launched it's new smartphone Aqua Wonder Quadcore dual SIM smartphone for Rs. 9,990. It come with 4.5 inch capacitive touch screen with IPS technology and qHD 540 x 960 pixel screen resolution. The device powered by MediaTek Quad core processor with 512 MB of RAM and 1800 mAh battery. For camera, that has dual cameras 8 MP autofocus rear facing camera and 2 MP front facing camera. Dual LED flash light built in with rear camera. The device runs on Android v4.1.2 Jelly Bean operating system. For storage needs it has 4 GB internal memory and external memory expandable up to 32 GB using MicroSD card slot. 3G, EDGE, Wi-Fi, WAP, USB, Bluetooth, and GPS connectivity features included with this smartphone. For more details see below specifications.